CiviProxy has to run on its own server (with its own IP address) for maximum effect. Since there are a multitude of clients like you on such a server, the level of security can be expected to be very high, and it should be managed and monitored by professionals 24/7. For the same reason, the bandwith and connectivity of such a server should be very high as well. The price should not have to be huge. Obviously there is nothing stopping you from installing CiviProxy on a server you manage yourself, but that then automatically means you have to ensure you maintain a high level of security and update the stuff regularly! Download the GitHub repository from https://github.com/systopia/CiviProxy. A CiviCRM extension called de.systopia.civiproxy that you can use to send mailings (newsletters) from CiviCRM. This should be installed on your target CiviCRM installation. A proxy folder with the scripts that you need to install on your CiviProxy server. go to Administer>System Settings>Extensions to see a page with all the installed extensions on your CiviCRM installation. You will have to click the Refresh button to see the de.systopia.civiproxy extension. Click the Install action listed behind the extension information. Upon successfull installation you should see a list like the one below (although you will probably see a larger list as you will have more extensions installed). type the URLhttp://example.org/civicrm/clearcache to clear the caches and rebuild the menu. 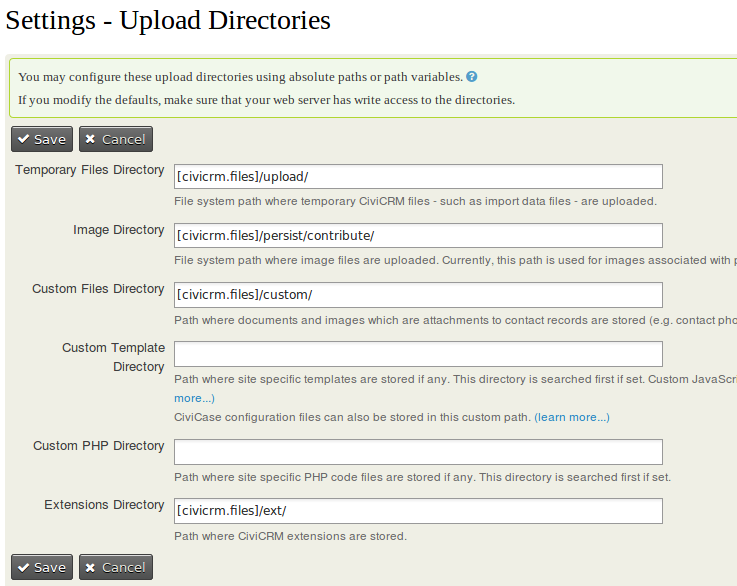 This is necessary to add the CiviProxy settings page to CiviCRM. you should now be able to access the CiviProxy Settings page with Administer>Administration Console (in the menu section System Settings) or with the URL http://example.org/civicrm/admin/setting/civiproxy. If you want to you can add the CiviProxy Settings page to your Administration menu with Administer/Customize Data and Screens/Navigation Menu. check the Configuring CiviProxy page to see how to configure the CiviProxy extension. Create a config.php file using config.dist.php as a template. See Configuring CiviProxy for details on what you need to include in the config.php file.